Shipping and delivery is something we prioritize. We ship your order as soon as we receive the order and the associated payment successfully. Please check your inbox and make sure you have an email from us that confirms the placement and the payment of your order. To be able to offer you quick, professional and highly reliable shipping & delivery service, we use only the most recognized international couriers. We also work to make sure the packaging protects all content after it leaves the warehouse. We ship your orders with major international logistic companies, depending on your geographical location. Most orders tend to be delivered within a 7 -10 business day window. While we’re always looking for new ways to get your order to you as quickly and securely as possible, our clients have so far reported high satisfaction with the couriers we use. When you place your order, you can request to have your bike delivered to your home address, your workplace, a specific pick-up station or the nearest post office. If you placed an order and it hasn’t been shipped yet, you can contact us to change the shipping address. We’ll do our best to accommodate your request. Products like cargo bikes that are too big to be sent as parcels are delivered by a forwarding agency. Depending on the product and the number of items, they are delivered in cardboard packaging or on a wooden pallet. Delivery by forwarding agency, packaged in carton, e.g. unassembled cargo bikes or frames; with a partly assembled bike, you need to mount the wheels and the handlebar. For deliveries to islands we generally charge an additional 145 EUR including tax. 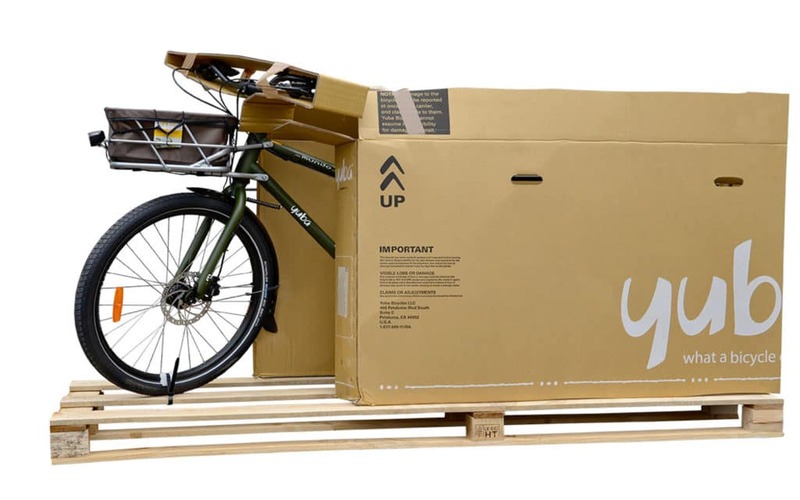 The benefit of a partly assembled bike is its smaller packaging size and a delivery that is more environment friendly. This option is unfortunately not available for all bikes. When you order a fully assembled cargo bike, we send you the completely built up bike on a pallet. Before shipping & delivery, the forwarding agency will call you to make an appointment. Please note: the pallet will be delivered to the curb and not taken back by the forwarding agency. Please note that every now and then, bikes that are shipped directly from the manufacturer take a longer time to ship. When buying multiple items, the respective longest delivery time applies to the whole order. We make sure to keep you in the loop, at every step of the way, by providing shipping and tracking information via email. All bikes are sent with a unique tracking number and can therefore be tracked online anytime. Still, if you feel that your order isn’t delivered in a timely manner, please contact us.